rFactor is a computer racing simulator, designed with the ability to run any type of four-wheeled vehicle from street cars to open wheel cars of any era. 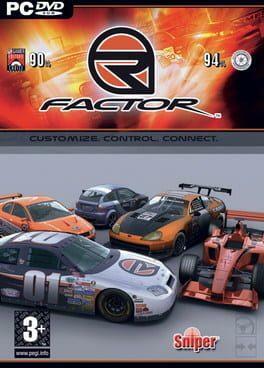 rFactor aimed to be the most accurate race simulator of its time. Released in November 2005, rFactor did not have much competition in this market; however it featured many technical advances in tire modeling, complex aerodynamics and a 15 degrees of freedom physics engine. rFactor is available from 18.54 to 22.99 from 1 shops.